I don't like to play the devil's advocate. Actually, I like to be a fan boy, because it owns! 1) The first episode of Wallace & Gromit, i.e. Fright of the Bumblebees, was published with a resolution-setting bug everyone was aware of. It seems that nobody wanted to change the release date to correct the problem before getting many users frustrated. I know, release dates are extremely important for the whole Telltale enterprise, but still. That bug wasn't a minor issue. 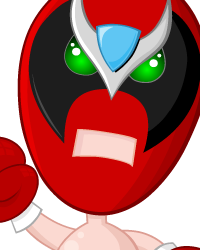 2) The Strong Bad dvd lacked the audio commentaries and was less rich than S1 and S2 in bonus content. 3) I've decided to accept the direct control thing, because I like Telltale games for their script and game-design, but the control systems from W&G and ToMI seem to suffer from schizophrenia. I bought a joypad to enjoy W&G better (unfortunately there was no direct support for it, but I managed to solve the problem with Joy2Key) and it worked. I was expecting that ToMI would feature the same control layout with the hotspot rotation keys, but I was rather surpised to see that a mouse was strongly recommended. I've bought a joypad to accomodate myself to Telltale's new system but that system changed (again). I've also read that the development on ToMI began when nobody knew which control system would have been featured. 4) It's strange that nobody had planned a clear strategy regarding the translations of ToMI, especially considering that W&G has been published subtitled in the four main languages. I don't mean that ToMI should have been published already translated from the beginning, I just mean that a strategy stronger than "We don't know yet" had to be ready. 5) I like the art on ToMI, but it's undeniably simpler than W&G's. I supposed that it was due to the upcoming Wii port, so I didn't complain. I like to play my games on PC, but I'm not anti-console, so I could accept the strategy if this means a broader audience for adventure games. 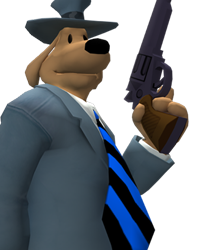 Now I read that the Wii version has a lot of problems and I wonder: why didn't Telltale choose to go Xbox 360 for this? Because they were already making W&G for the Live Arcade? Wouldn't have been wiser to wait for W&G to wrap and THEN publish ToMI for PC and Xbox 360? Or publish ToMI just for the PC, postponing the console ports? 6) Right now you're working on ToMI, CSI Deadly Intent, various portings and something else we don't know (I guess). I have the feeling you're in overload mode, considering that even the press advance copy of ToMI ep1 was made available really late in the process, and I guess the press evaluation copy of The Bogey Man won't be ready until after the game ships on the 29th. Why did I loose so much time to write this post? I think you're going too fast. But you're losing something in this rush, you're losing the time to make your creative and commercial choices stronger. I am worried you could get offended by these remarks, because I know you've been working your asses off in these last weeks, but I hope you will understand I'm not "doing the flamer" here. I considered you an awesome developer/publisher, but in the last months you just slipped a bit down the chart. Let's say you're now around the "very good still rather trustworthy developer/publisher". I joke because I am not that angry, I've been following you since Telltale Texas Hold'Em and I'm also happy you've risen the difficulty level in ToMI after the relatively easy Strong Bad and W&G. I'm just worried that you're not allowing yourself the time to grow in the best way possible. I think that - as a fan - I should express my concerns openly. 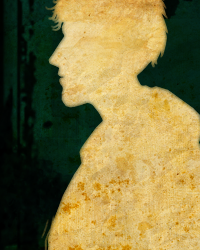 6) Right now you're working on ToMI, CSI Deadly Intent, various portings and something else we don't know (I guess). 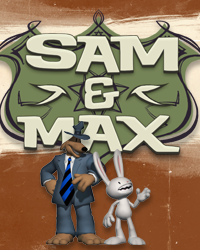 Sam and Max Season Three is apparently at least in pre-production. Me too! Too much in few time! Remember that the difference between you and other companies is Quality. And a well written game could be a disaster without good programming. BTW, you're my loved adventure company now, you know! I can see logic in a lot of what you're saying except maybe the control system issue. Telltale didn't insist that people use joypads, you made that choice and they only implemented mouse control in Monkey Island because fans complained about only having keyboard as an option. Telltales games are distributed online, so bugs are easily fixed. I don't think that telltale needs to spend too much time polishing their games. ahem, wiiware cant be fixed over time. It does seem like Telltale are doing a hell of a lot at the moment..
Why not? Nintendo did it with their VC-titles, why not with 3rd-Party Wiiware-titles? About the translation part... I think W&G gets a translation so fast because the primary public for these games are from Europe, and French and Spanish people just can't play a game if it's not in their languaje. For the other side, the primary public for Tales of Monkey Island is in America, so, no need of a translation thing. 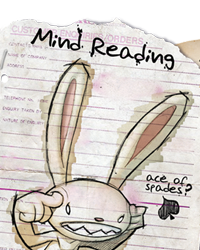 I think the Art in ToMI is just wonderful, so, I don't get that part of the complain. Neither the joystick. But, I agree too it's feels like they are overloading theirselfes. Eventualy they will fix them, somehow. I hope. Probably, that of having the Bonus Content Disc contemplated in the beggining of the production is one of that fixes. Who knows. I don't think so... the primary public for TMI is Worldwide, cause Monkey Island is one of the most known franchises in graphic adventures... The reason of having W&G translated it's because Microsoft wants all XBox Live games translated, their localisation teams are who made the translations (and I think this could be one of the reasons for the delays in W&G...). Question: How many time that takes? Trust me, I'm from Chile and all old school gamers I know were more than happy for the release (In fact, there's a unfinished flash version of Secret of Monkey Island with the original characters replaced with Argentinian ones). But, I think my point still stand (one thing is how big is the fan base, another stuff is the public target). Appart, having 1 game with translations doesn't mean they actually have an actual pipeline for the translations. The only thing that means is they HAVE to do it. (I think is the licensing contract). Their developing process is the fastest I know (I wanna know how I become an intern just because I wanna do my Tesis about their Developing Process! But, you see, I have major geographical problems T_T) and change just a little part of that process is not that simple. Probably they will need translators in house or something among this lines, but the other question if it's actually worth the effort. I have no answer for nothing, and I believe they have to still to figure out their answer. This is the ultimate goal for Telltale: to be producing multiple "shows" and bringing out regular "episodes" that carry a lower price point and a shorter playing time. Specifics of the pricing and method of distribution are obviously to be worked out in the future, but estimated playing time would be 4 to 6 hours for each episode of each show. This shorter playing time, combined with the fact that the games will be built on essentially the same engine framework (a la Sierra's SCI days), will allow them to come out with much more frequency—in fact, Connors told me that the goal will be a period as short as four months between episodes of any given series, and the eventual goal will be a new Telltale adventure every five to six weeks! Until you actually see issues with quality, there's no point in openly worrying about how much Telltale is developing at once. What they're doing is precisely what their production processes were built to accomplish. Think of how much they were doing even just in 2006, and then consider how much they've grown since. When you build games that are 4-6 hours long with a single, versatile tool designed with rapid development cycles in mind, have production overlap between episodes, and have enough developers that multiple projects can be worked on simultaneously (and perhaps near-independently), the rate at which Telltale is going now isn't that implausible. Although the "breakneck speed" probably does take its toll, I think it's also something Telltale wants. That level of productivity probably plays a large role in profitability when you're an independent publisher and developer. And while it's true that a lot of my fellow froggies don't think like me, we ain't SUCH a minority, AND, more to the point, a of other european countries didn't get the "everything is systematically dubbed" treatment and don't mind at all about playing the original games. 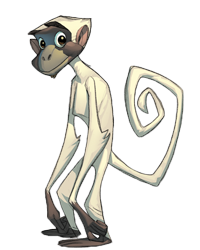 Plus, yeah, saying monkey island appeals mostly to the US gamers is plain wrong. The games are classics, they've had a lot of time to grow almost everywhere, and therefore, as it's been said before me, the fan base is pretty much scattererd all over the world. That being said, it's funny because somehow it does seem logical to me than wallace & gromitt gets immediate translation when the other franchises don't... Don't have a clue as to why, tho, and i'm too lazy to think about it. But as I-forgot-his/her-screen-name said that microsoft want their game translated before porting them to X Box, i guess that could really be the only actual reason. Telltale's job is to create the games, not to translate them. They left the local distributors take care of this for sam & max season one, and i guess for everything else as well, and that's for a reason : that's just not THEIR jobs. Add to this the whole episodic factor, and it would be pretty hard to get the game released in several language at the same time. A Japanese Company develop a Naruto Game for X platform (It's just an example. I don't really like Naruto. You can replace it with any famous anime and the idea still works). They develop it with with the Japanese Market in mind. So, is only japanese people fans of Naruto? Heck no. I'm still scared of the amount of Naruto Cosplayers everytime I'm going to a Convention (And they are small compared to actual USA ones). But that doesn't mean they have to do the game with localizated versions in all the languajes every Naruto fan can talk. 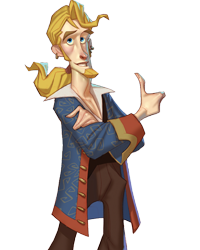 It's the same logic: Let's do a Monkey Island game for the USA (and anyone who has a International Credit Card and read english) fans first, and then for the rest of the world. Why not? I don't believe the original were released with all the languajes at first either. And just like Astro Gnocci says, they don't have to handle it too. @Astro Gnocci: I have to admit my comment about french people is somewhat biased, but about the spanish people I can be sure by experience. For the moment, my sister can't play any Telltale game without spanish subtitles because the english ones goes way too fast for her. Maybe an option to trigger the next phrase by clicking the mouse (or a button) can help with the Non-Speaking English costumers a bit more (Not as much as a full localization, but will help) and I think will be not that costly to implement compared to a translation. I have to admit my comment about french people is somewhat biased, but about the spanish people I can be sure by experience. For the moment, my sister can't play any Telltale game without spanish subtitles because the english ones goes way too fast for her. Maybe an option to trigger the next phrase by clicking the mouse (or a button) can help with the Non-Speaking English costumers a bit more (Not as much as a full localization, but will help) and I think will be not that costly to implement compared to a translation. Telltale is taking on more projects, but only because we're expanding. There are roughly the same amount of people per project as there have always been.
. There are roughly the same amount of people per project as there have always been. There goes my mental image of two people running from computer to computer, making five or six games at a time. "Nooo! We just put Max in W&G! How did this even happen!? The game is due tomorrow!! DELETE F***ING EVERYTHING! Get people off the streets if you have to! We need more manpower! Go go go! We don't have time to get the VAs back in! Just pay a homeless guy ten bucks and tell him to sound British!" No need to have a sad face about the day you were hired! 1. In the imaginary scenario, they snagged a bum off the street and paid him $10. 2. Yare says this happened once. 3. Hann Solo implies that Yare was, in fact, that bum. Until you actually see issues with quality, there's no point in openly worrying about how much Telltale is developing at once. What they're doing is precisely what their production processes were built to accomplish. I know, Udvarnoky, I know. For this reason I didn't start the thread BEFORE the trend took over. I like to give everyone the benefit of the doubt. Now that the planned trend is taking over, well... I'm not saying that I'm seeing huge drops in quality, but I'm certainly experiencing (IMHO) some things which are "rough around the edges". Of course those are not big problems, but I think they should be highlighted before they start turning into "big issues". I see, well... that's a relief, but I still think you should be more careful about certain things such as the ones I listed in my first post. As I said, I'm not talking about "asking my money back", just about "uncomfortable" choices. P.S. : The translation issue was only an example, let's not turn the thread in another "Telltale, please translate ToMI into..."!!!! A Franchise as big as "Monkey Island" will be translated for the local market for sure, trust me, trust me. Sure, subs would have been useful to some people, but i don´t really miss them. Until you actually see issues with quality, there's no point in openly worrying about how much Telltale is developing at once. But that is exactly the point: There are quality issues! - I do not even blame them for releasing games which still contain a few bugs, as it almost impossible to check every PC configuration and every possible situation that might occur in the game in advance. But I blame them for making project plans which obviously contain no (or at least far too little) time for debug after the release. - The first episode of W&G, for example, has been released more than 4 months ago, but there are still no fixes for known issues yet, though you can see from the following episodes that they know how to fix them! And about their "eventual goal" to release "a new Telltale adventure every five to six weeks", they have already exceeded that speed, assuming "new adventure" means "new episode" and not "new series", as their initial goals was "no more than 4 months between the release of two episodes: With W&G and ToMI overlapping, they release a new game almost every two weeks right now. - And if you also count the releases for other platforms as well (as they also need some attention), it is even more! That just goes to show that difficulty is quite subjective. I thought W&G Episode 1 was more difficult that ToMI Episode 1. I have to say I agree with the general sentiment, even if I disagree with some of the details. I know that after the initial disappointment of hearing that TOMI Ch. 2 won't be coming out quite as early in the month as Ch. 1 did, it was actually a relief to know that they have a little more breathing room with it. While monthly releases sound ideal, to be beholden to that brings a certain amount of pressure and it's easy to imagine that corners are getting cut when you see things like obviously re-used assets, the occasional visual bug and a handful of other things. Of course, it's not really that simple. For example, I for one would be all in favour of a release schedule of an episode every 2 months rather than 1 month, so that each individual episode gets twice as much time in writing, building and polishing. That sounds lovely to me, but TTG's whole business and working model is based around the monthly releases, so it's not exactly a trivial thing to mess around with that, it would have a whole lot of knock on effects, not least financially (each team would be working twice as long on a project, but it won't sell for twice as much!). Therefore the only sensible way forward seems to be the one they are taking - aim for monthly releases, but allow for some flexibility within that because quality is important. Telltale is doing a great job. They've certainly made less stuffups than EA, although I agree the bugs in games are a bit blehh, but they are released at reasonable times, unlike other episodic games...... freaking hl2. There's no shame in releasing patches, but it can be expensive. In addition to the development cost, depending on the platform we can get charged a fee just to release the patch. I am with Diduz. I am worried that Telltale is going too fast. Before W&G, any new series was better, technically and in scope, that the last one. W&G has wonderful graphics, impressive characterizations, and is translated to a lot of languages... even the graphics! But then Tales of MI appears, and in my opinion, technically and artistically is inferior to W&G. And it is not translated! I'm already talking about the translation part, so, I'll not do that again. But I cannot be agree about the Graphics or Art Direction part. ToMI is not inferior to W&G: It's just different. W&G has to look like claymation and ToMI looks like a comic or a cartoon, with colorful graphics and simple but well done textures, and they do a wonderful job with that. Both Art Directions are diferent and for that not comparable. If you, for a moment, want to know why I'm actually worry about TellTale getting too much job, is my feeling of maybe lose the "Community" Feeling the company has. 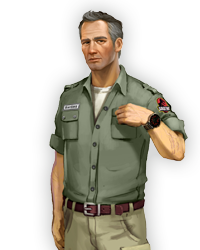 You know, that thing of having an actual crew member sharing little tidbits about how the games are done in the forum, the twitter during the San Diego Comic-Con, those wacky videos like the Puppet Teather of Failure, that kind of thing. When the Companies get bigger, ussually they become way too impersonal if it's not handle it correctly. I think, in the end it all comes down to money. Not in the way that sentence usually entails, but that if Telltale is successful with this business model they'll continue to do business as they have been. Quick, innovative projects and a transparency with the fanbase. If they're putting out more games, making more contacts, getting to work with bigger and more famous IP's I think we should take that as they're doing well. Just to clarify, as I said in a private feedback after completing Narwhal, I think the game is great. I don't see a terrible quality-gap between W&G and ToMI, I simply wanted to point out a more subtle general trend without bashing anything in particular. Nothing is "bad" in Telltale right now, I just... felt the ground shaking a bit. But I cannot be agree about the Graphics or Art Direction part. ToMI is not inferior to W&G: It's just different. It´s obvious that the Wii Port is hurting the PC Version in terms of texture and sound quality. Also, as Yale has explained, we will not be able to travel around in many different locations because of the Wii´s weak CPU Power. That´s not good, but as long as Telltale maintains to supply us with a good story, a good plot which makes the whole thing feel epic in the end, these are minor annoyances we should be able to accept. Just take your time to develope this, Telltale. Sure, Fanboys (and Fangirls for that matter) will start crying if they don´t receive their monthly dose of Monkey Island Goodness, but for the sake of a quality game, take your time. In the end you received our money in return of a quality game, not a rushed one. Quality always prevails. Also, as Yale has explained, we will not be able to travel around in many different locations because of the Wii´s weak CPU Power. That´s not good, but as long as Telltale maintains to supply us with a good story, a good plot which makes the whole thing feel epic in the end, these are minor annoyances we should be able to accept. Well I'm hoping, as it's called Tales of Monkey Island, that this season won't be the only Tale and next time they'll give the Wii release a miss. Not that I didn't enjoy episode 1... bring on episode 2! They're the one of the ONLY adventure game companies, ain't they?